Jack Skellington is Almost Here! 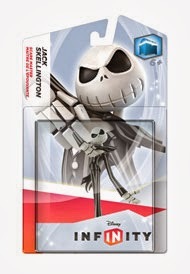 Just in time for Halloween, they are about to release the Jack Skellington figure for Disney Infinity. My son will be at Gamestop on Saturday as soon as it opens! From now until October 28 it's a Gamestop exclusive and after that should be widely available. It's not clear whether it can be used as part of a play set or just in the Toy Box. I shall find out on Saturday! UPDATE: You can only use the figure in a Toy Box so it's unclear when/whether there will be a Play Set for Nightmare Before Christmas.